Disclaimer: This post is sponsored by Osborne Wood Products, Inc.. I met wonderful representatives from this company at the 2018 Haven Conference and took advantage of their blogging partnership program. 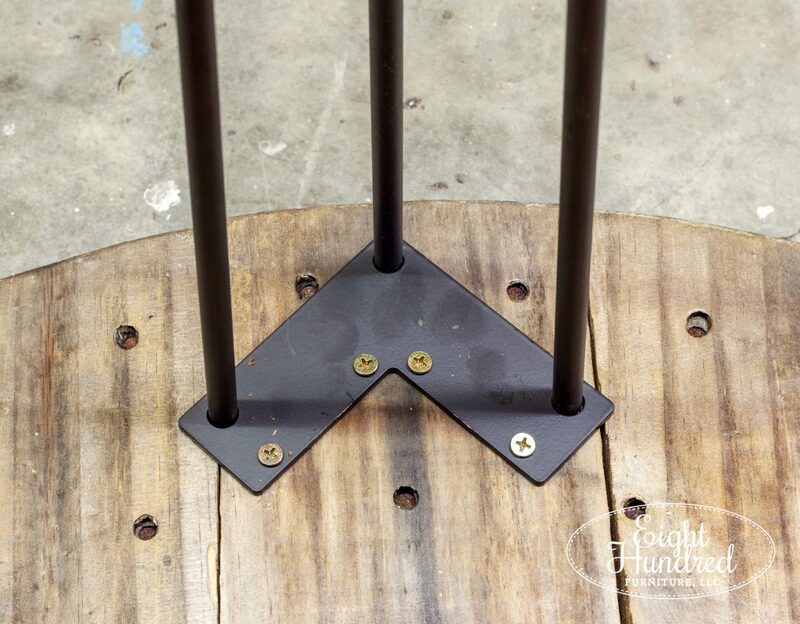 They sent me 8 flat black metal hairpin legs in exchange for a DIY tutorial post and photos. All of the words and opinions expressed in this post are my own. One of the super fun aspects of the 2018 Haven Conference was the opportunity to meet brands and chat with folks who have products that are directly applicable to my line of work – furniture! 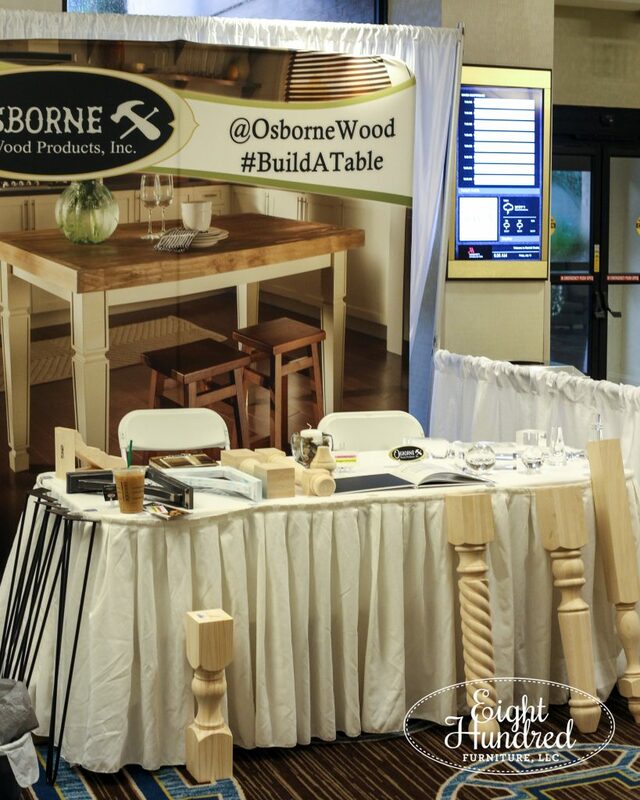 One of the companies that had a display booth set up was Osborne Wood Products, Inc.. I snapped this photo early in the morning before anyone was up and about for the day. Can you spy my Starbucks iced coffee on the corner of the table? Like I said, it was early! During one of the breaks, I introduced myself to the representatives that were there and learned about their blogging partnership opportunities. 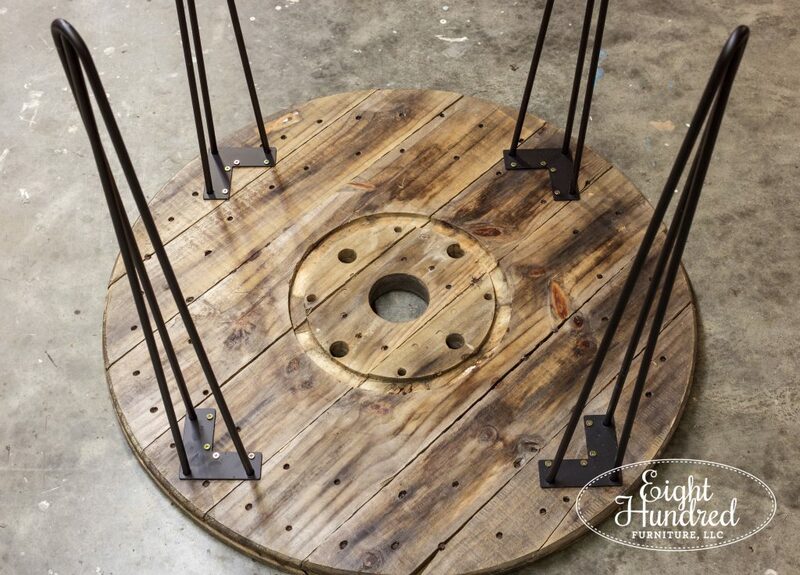 I also eyed up the samples of furniture legs they had on display, including a set of flat black metal hairpin legs. 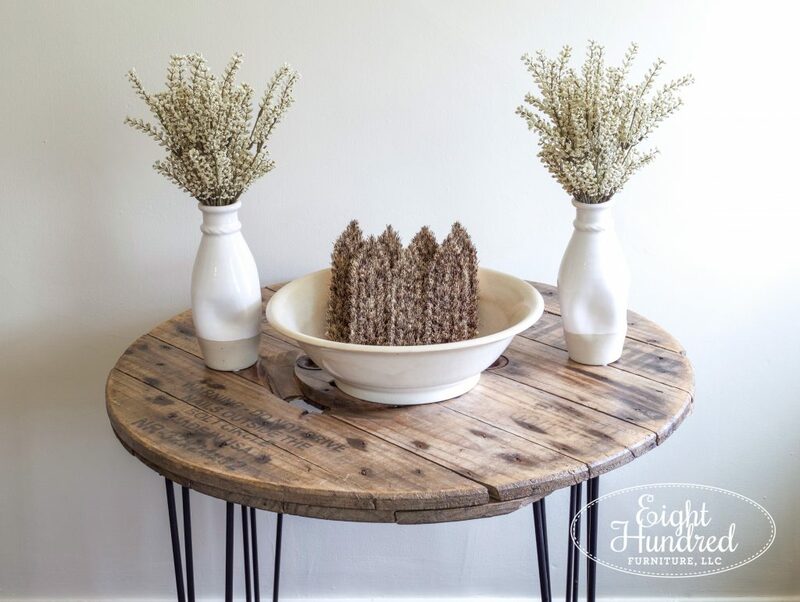 When I saw these, I immediately thought of a project that they would be perfect for! 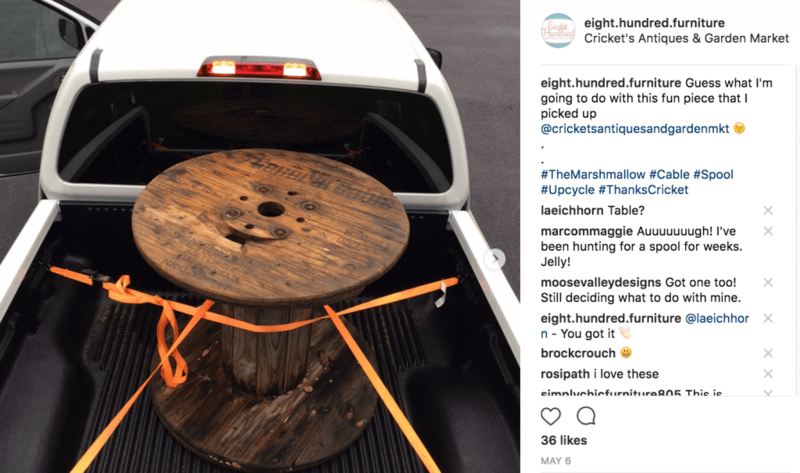 About a year ago, I bought an industrial cable spool from Cricket’s Antiques and Garden Market. I had to let it dry out for a few days (because it had just rained when I bought it) and then I gave it a good cleaning. I also gave it a much needed sanding to smooth down some of the rough patches of wood. Once it was cleaned off a bit, I sealed the surface with multiple coats of poly. Then, I staged it as a table and waited for someone to scoop it up. A few people were interested in it, but no one took the plunge to purchase it. At the end of the Fall last year, I took it home and my Dad and I split it apart. I discarded the middle portion and kept the two round ends. 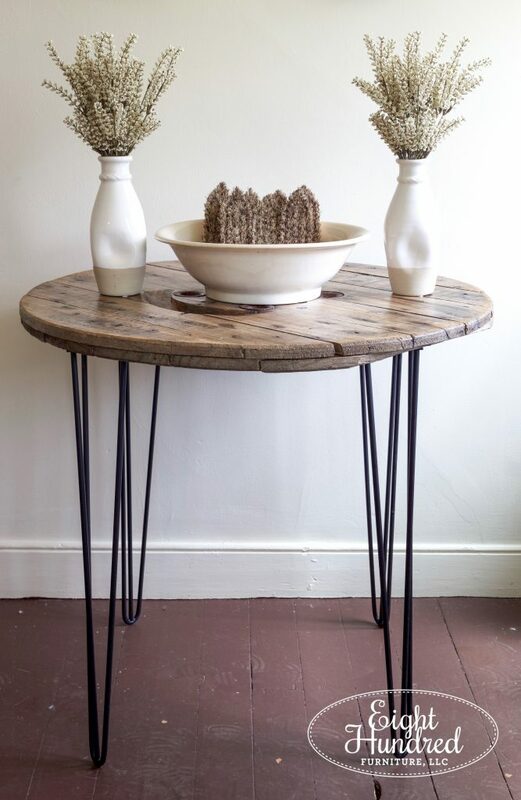 My initial thought was to turn them into oversized clocks, but after seeing Osborne’s set of hairpin legs, I decided it was time to reinvent the two spool tops as tables! When the hairpin legs arrived, I pulled off the plastic and foam packaging and laid everything out on the workshop floor. 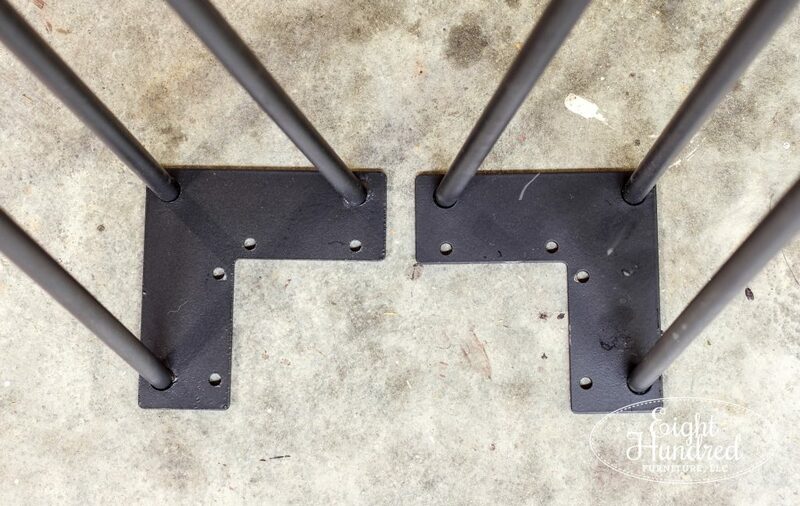 The legs had L shaped tops and 4 holes for screws (which were not included because the type of screw you will need depends on the project you’re making). I oriented my spool tops so the best side faced up. 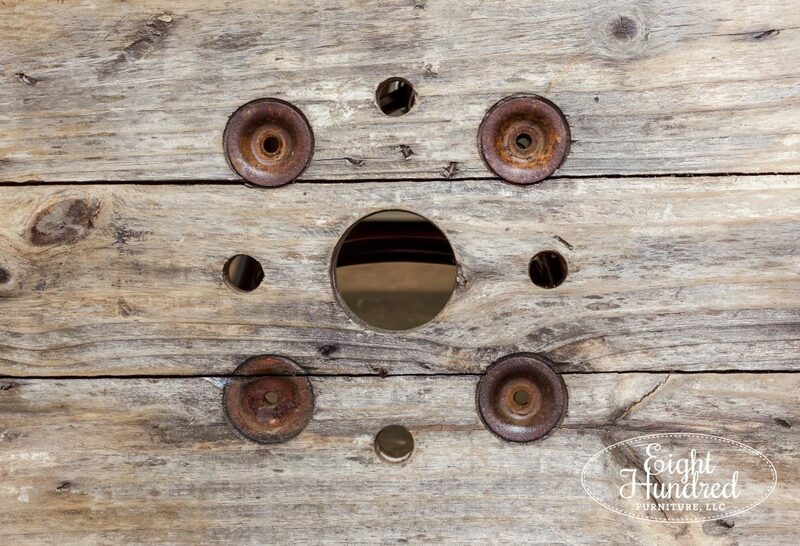 Aren’t these details just too cool? 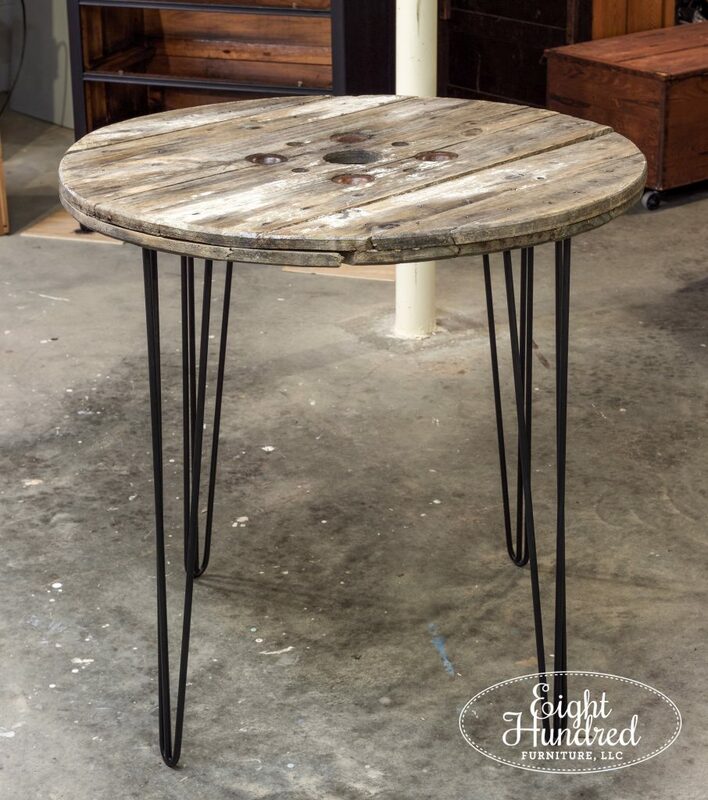 I love their industrial vibe! 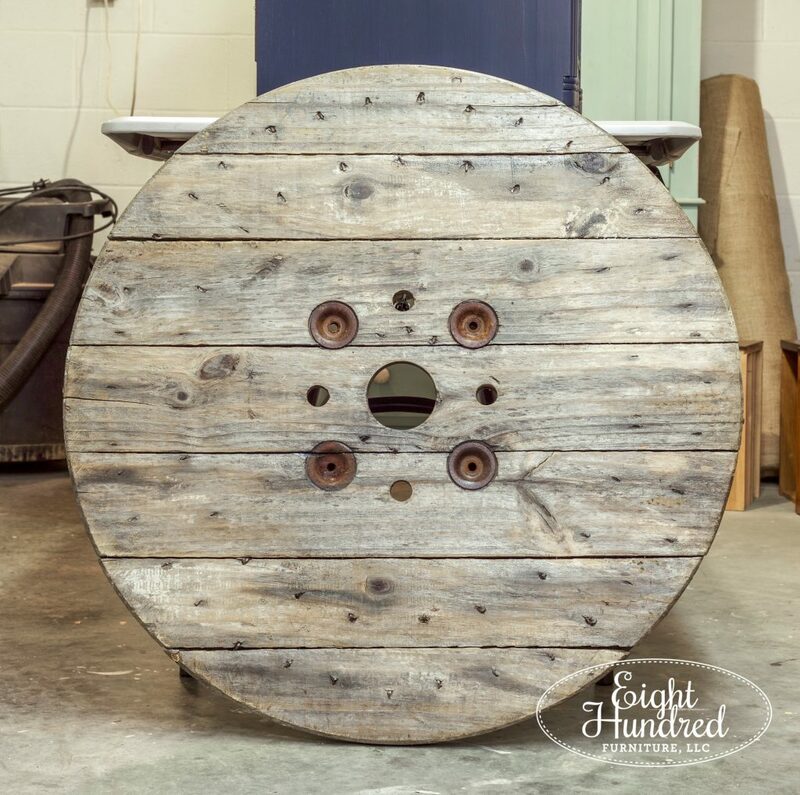 Once I decided which side was going to face up, I laid the spool on the floor with the good side facing down. Then, I stood the legs up on the base and spread them out as evenly as I could. They were placed as close to the clock positions of 12, 3, 6 and 9 as possible. 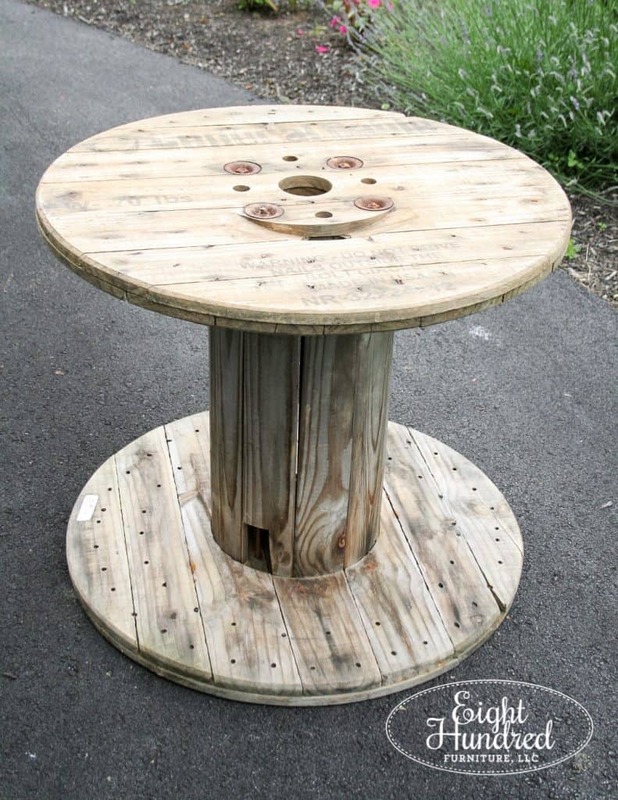 The spool tops were a bit warped and uneven from their time being outside, so things weren’t exactly even. I oriented the L shaped tops of the legs so they pointed all in the same direction. 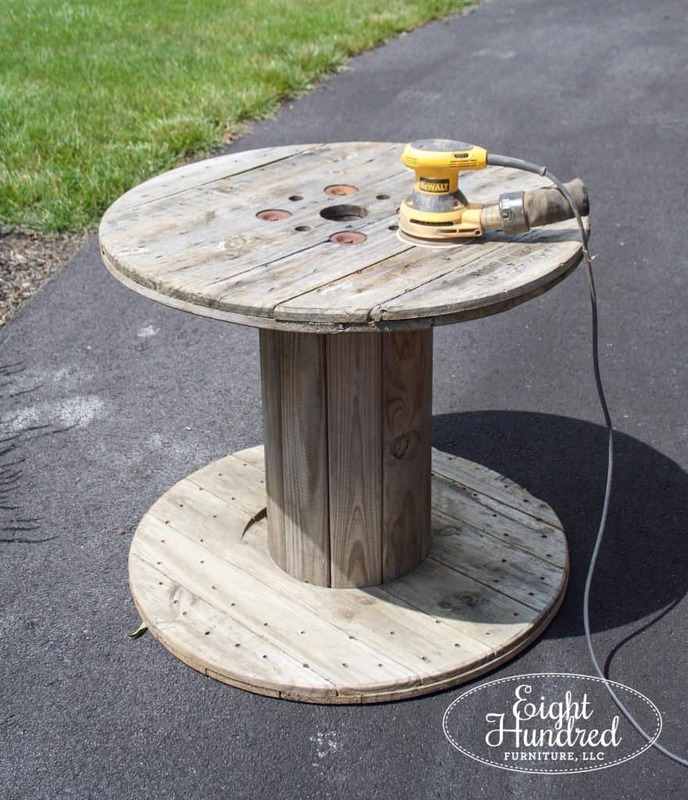 Because the top of my table was a circle, I couldn’t orient them at right angles. 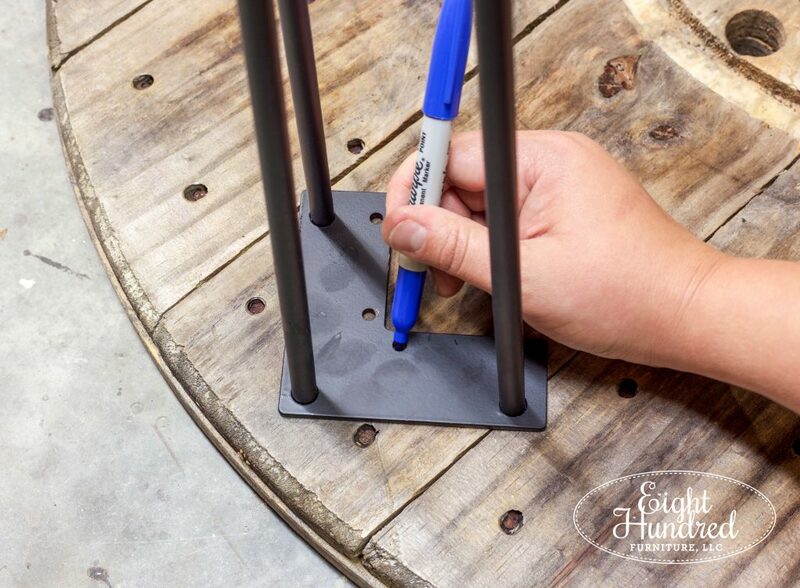 Once I had each leg where I wanted it, I used a Sharpie to mark where the screw holes were. Then I found screws in my stash that were the proper depth for the spool tops. I didn’t want to use screws that were too long, because then they would punch through the top. 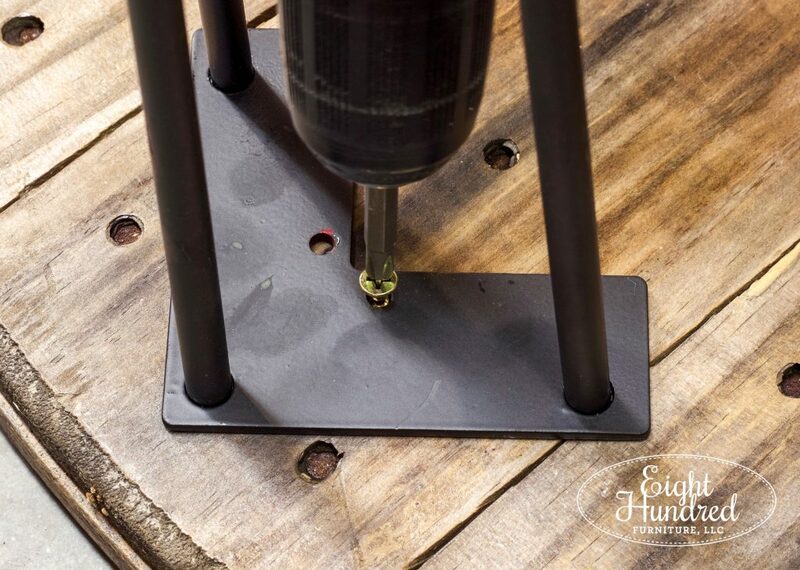 Who wants to be enjoying a cup of coffee in the morning and snag your arm on a screw tip? Not me! 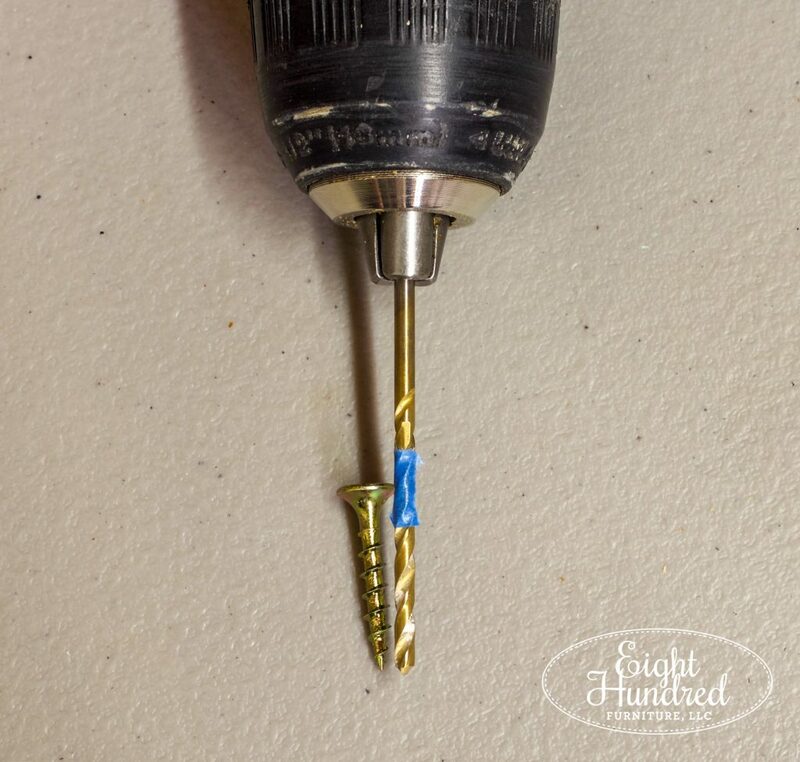 Before drilling pilot holes for the screws, I lined them up with my drill bit and used painter’s tape to mark the spot where the threads on the screws stop. 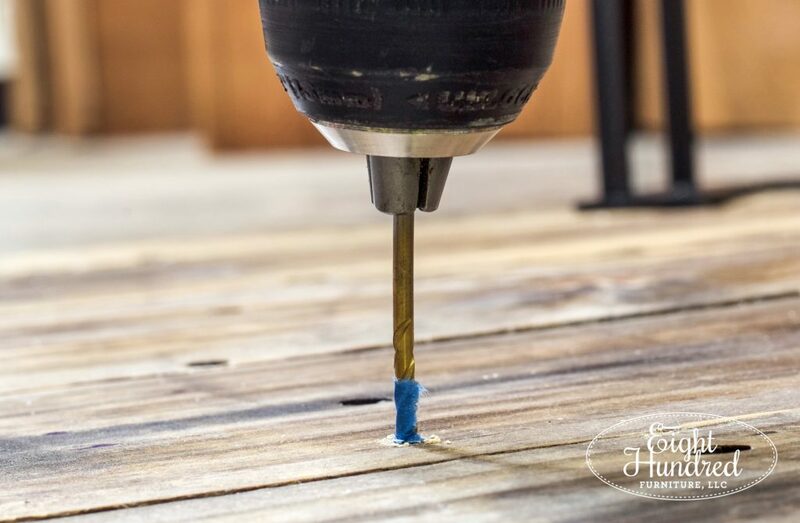 That was the point that I wanted to stop drilling for my pilot holes. 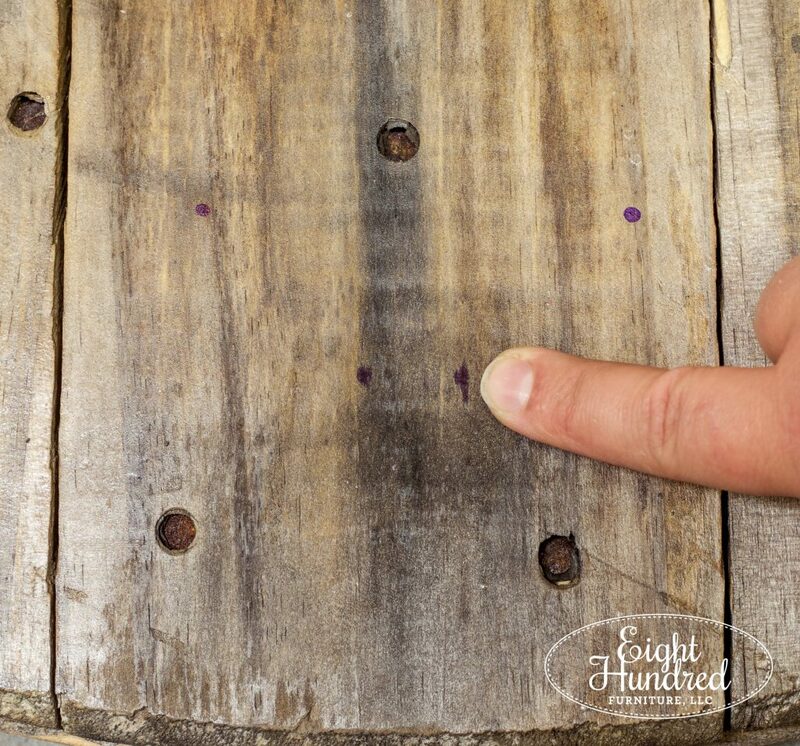 I drilled each Sharpie mark until I hit the bottom of that painter’s tape, giving me holes that were the perfect depth! After all of my holes were drilled, I installed all of my screws. Finally, all of my legs were locked in and ready to bear the weight of the spool top. I flipped my table up and did a little happy dance because it was gorgeous! 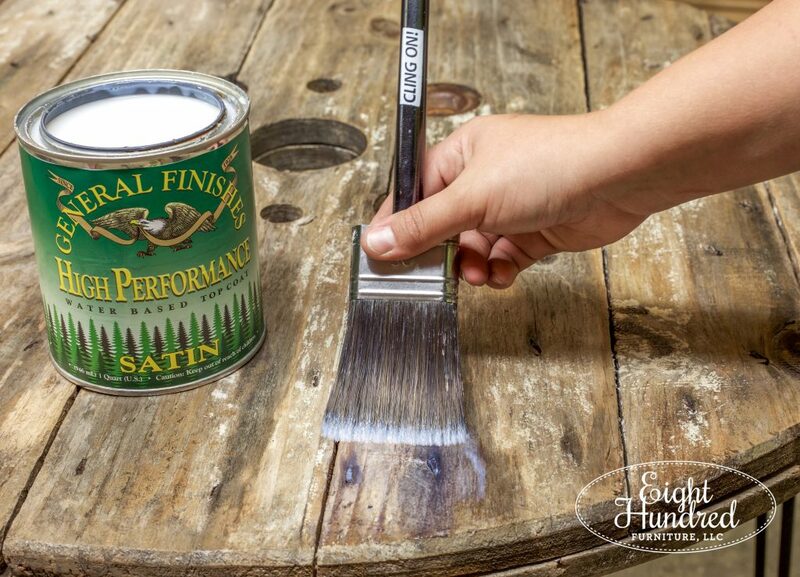 Once I had both tables put together, I gave them fresh coats of General Finishes’s High Performance Topcoat in satin. 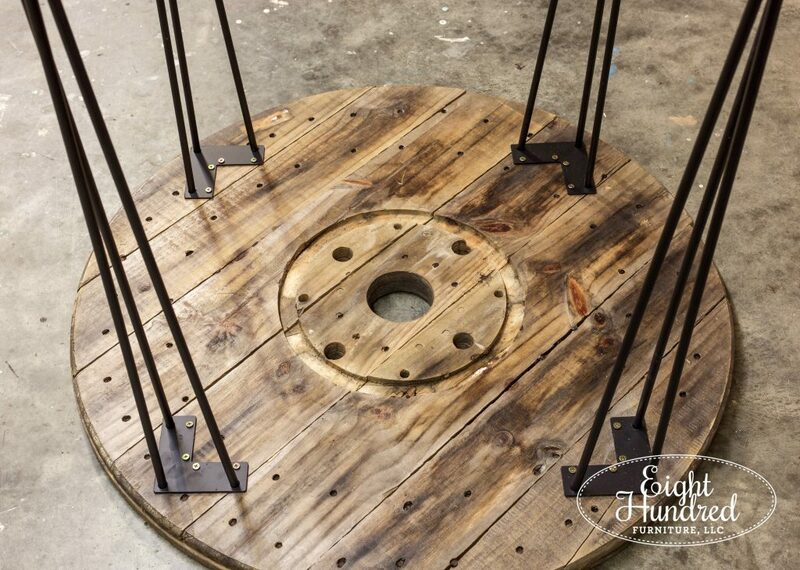 Both of my industrial cable spool tables came with me to my new second location at Homestead Studios this week. My room on the second floor has two beautiful windows, and I have each spool table positioned in front of them. To get my beauty shots, I moved them to another wall so they weren’t back lit. 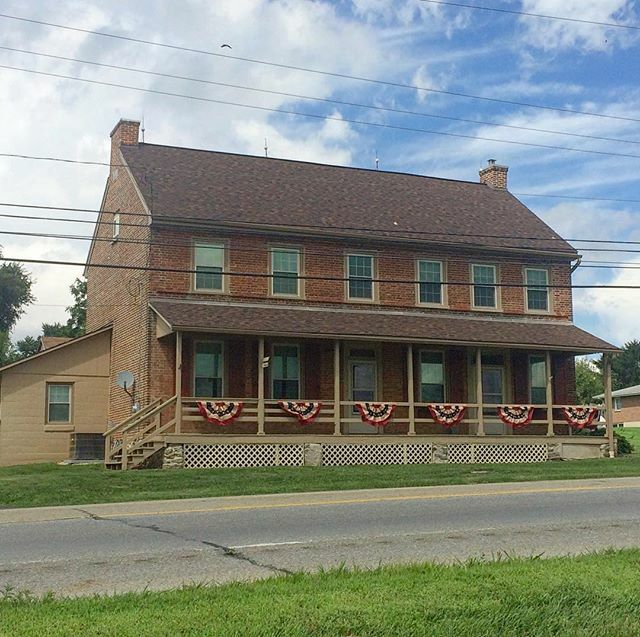 Homestead Studios is now happily situated in an 1835 farmhouse in Parkesburg, PA called The Paxon House. 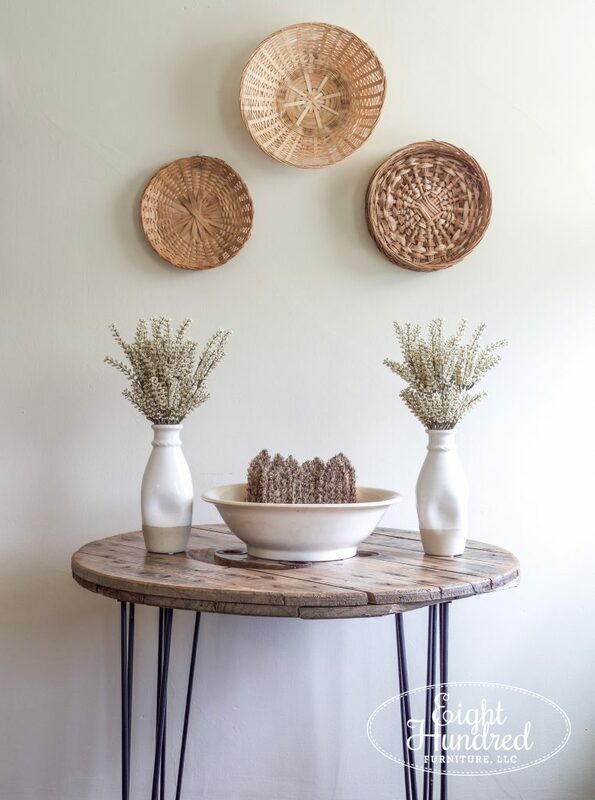 It’s quaint, charming and has all of the quirks that come with old homes, including uneven floors! Getting these shots was a bit tricky when it came to getting everything level, so bear with me if anything looks a bit off. That’s part of the charm of old houses! Aren’t those hairpin legs just killer? They totally gave my spool tops the update they needed. 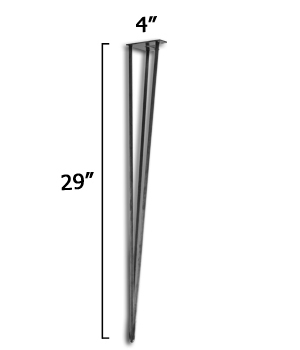 If you’d like to get your hands on a set of hairpin legs, they come in different sizes and finishes. 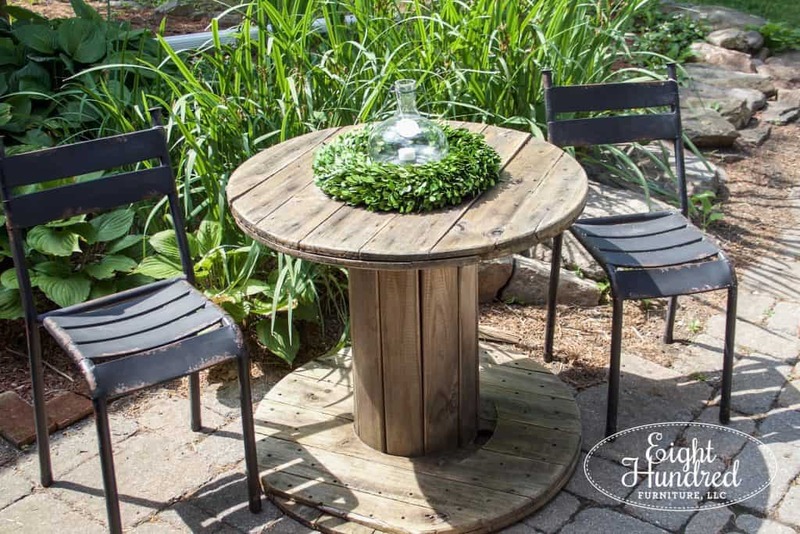 Visit Osborne Wood Products to see their options! I know that I’ll definitely be doing more projects with them in the future.